This dinosaur thing just arrived by Fedex – with no indication of who sent it! I think it may have been Google as a reward for judging their Android competition, but I’ll need to email them to confirm. 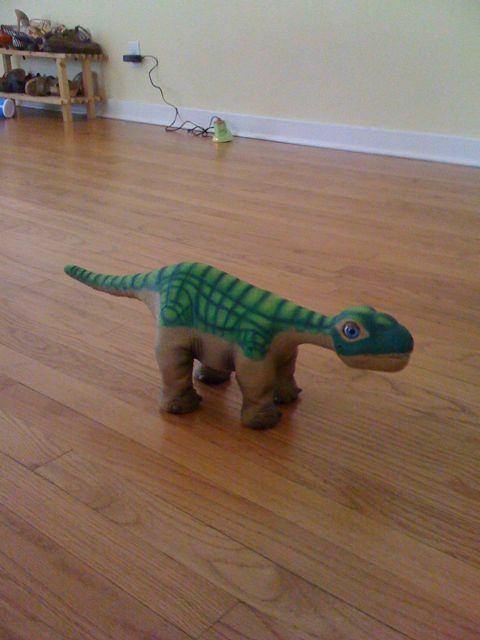 This thing is called a Pleo and apparently it’s some kind of Aibo-like artificial pet! The cats are going to love this! Update: Ok, just confirmed, it did come from Google, its worth over $300, cheers Google! This entry was posted in Personal on August 13, 2008 by ian.